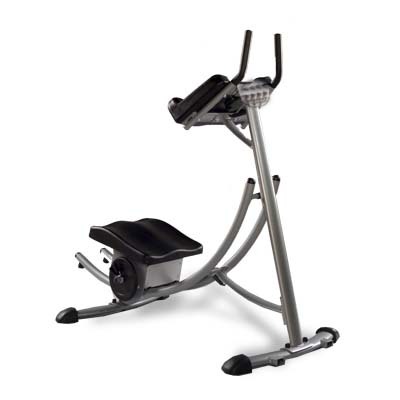 The Ab Coaster is an ab machine that is advertised as an "As Seen on Tv" ab exercise machine, but should you invest in one? It costs about $400.00 and comes with a money back guarantee, but some local fitness gyms may invest in the ab coaster so you won't have to. I have seen the ab coaster in a few local gyms in Boston. I would not join a gym just for the ab coaster, but if there's one sitting in your gym it should be easy to experiment with the machine. If you have $400 to spend on your fitness in order to lose stomach fat, I would recommend joining a gym and buying a few dumbbells, a bosu ball, a medicine ball and a stability ball. And I think that would be a better investment of $400. If you have used the ab coaster pro machine before, tell others what you think by filling in the form below. If you've done the ab coaster, tell us about your experience. Did it work your abs? Was it easier or harder than other ab exercises? Was it comfortable? Were you sore the next day? Did you hate it? Share as much as you what about your experience with the Ab Coaster! Enter a Title for Your Ab Coaster Review.